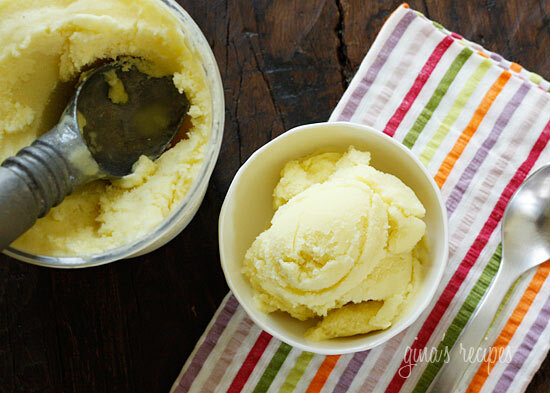 I was drawn to this Piña Colada Sorbet from Gina Homolka of Skinnytaste.com and had to share it with you. This sorbet screams summer and I love the flavor combination. Big fan of coconut. Great dessert for a BBQ! If you haven't had the chance, check out Gina's Skinnytaste blog. She does an incredible job and it's one of my favorite cooking blogs. Great recipes and beautiful photography!